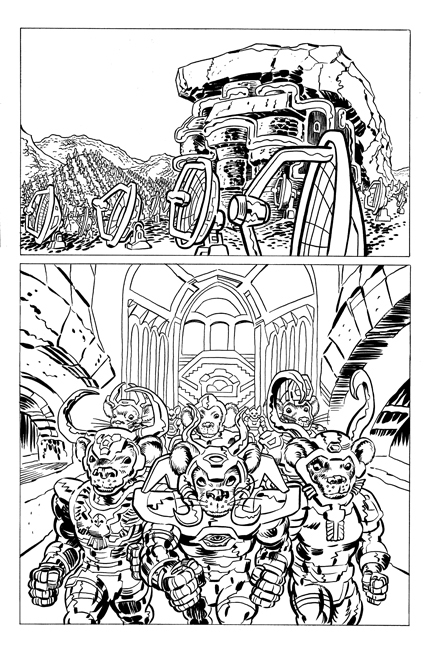 Here’s some more art for the upcoming final issue of Godland. Coming soon. Look, I just have one burning question about #37 – is Kadeem Hardison okay? You’ll have to buy the K.H. miniseries to find out for sure. Looks like the reboot is treating the Tormentor’s mice well! If Mickey Mouse would make a cameo in the last issue, I`d be really happy…But, not gonna happen.